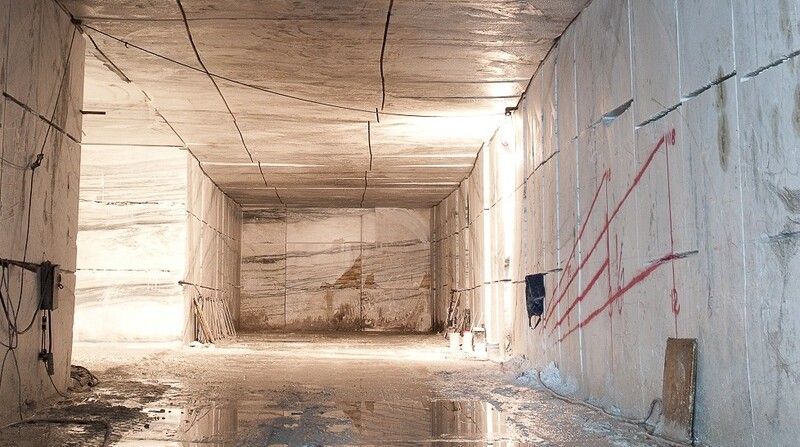 The Vermont Danby quarry is the largest underground marble quarry in the world. The quarry is entered through the same opening that has been in use for over 100 years. From the outside of Dorset Mountain the quarry looks the same as it did a century ago. From there the quarry twists and turns 1 ½ miles deep where Danby Marble is quarried. In 2002 Vermont Quarries added a full scale production facility, also inside Dorset Mountain, where up to 4,000 square feet of slabs per day can be produced. All slabs and cut to size marble for various projects around the world are all produced direct from this factory.